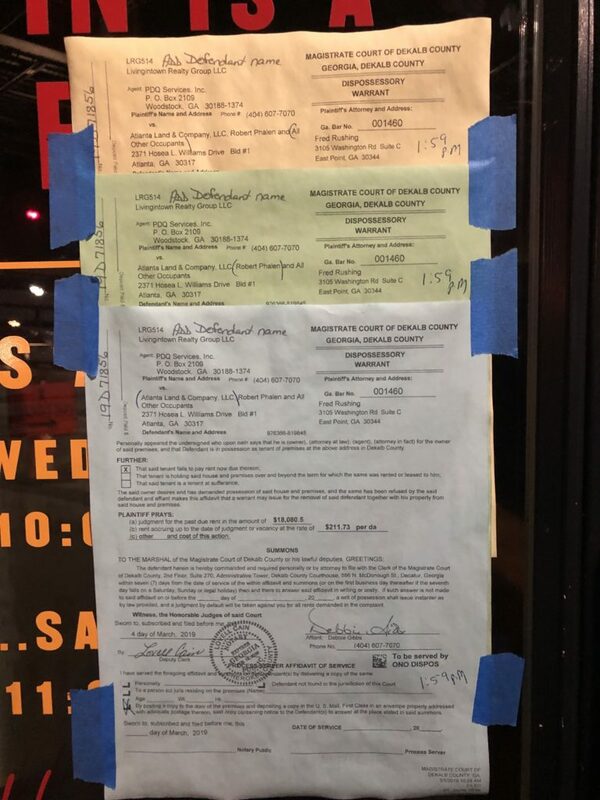 Mary Hoopa’s House of Fried Chicken & Oysters could be evicted from the Hosea + 2nd development and owes $18,080 in rent. A reader passed along notices taped to the door of the restaurant, which is located at 2371 Hosea L. Williams Drive. What Now Atlanta has reported that Mary Hoopa’s closed in February, but indicated it could reopen. Since then, the restaurant’s status has been up in the air and the company has made no announcements on social media about whether the restaurant has officially closed. Decaturish left a message with Mary Hoopa’s and the landlord seeking comment.